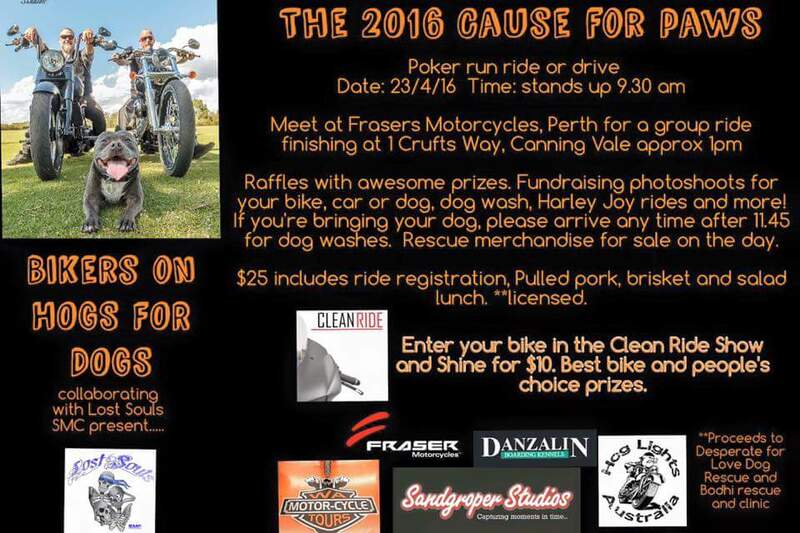 Bikers on Hogs for Dogs and Lost Souls SMC are collaborating to bring together a jam-packed day out for dog rescue in Perth on Saturday 23rd April. 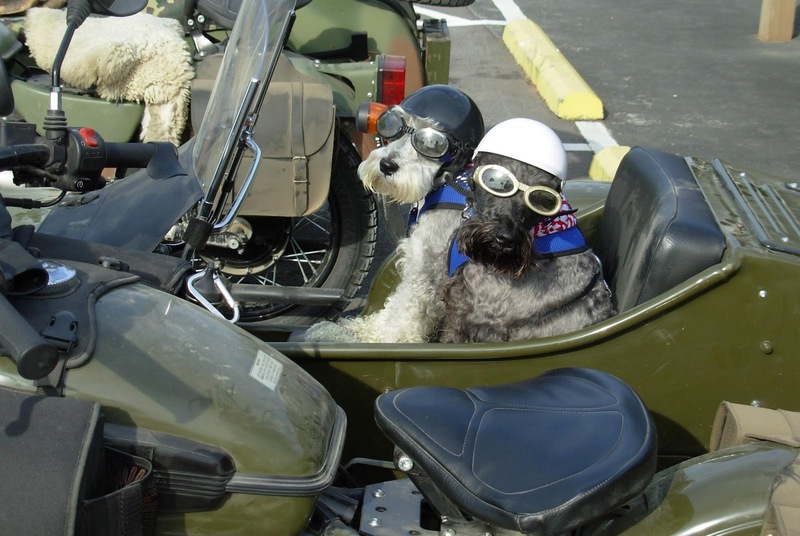 This event is open to everyone with 2 wheels, a car and dogs! All funds raised from the day will go to two dog rescue groups, Desperate for Love Pound Rescue and the Bodhi Shelter and Clinic. These rescue organisations - like so many others around the country, work very hard to save dogs from pounds and find them foster homes and permanent homes. This is a long process for each dog and funds are always needed. You can help by becoming a volunteer or buying some of their merchandise on the day. Harley Davidson joy rides which include a photo of you on a Harley! The actual ride/drive Poker Run is open to both car and bike drivers. It will start at Frasers Motorcycles and your registration fee includes lunch. You will also have the chance to win a Hog Light by participating in the ride/drive. If you’re not coming on the Poker Run Ride, you can simply arrive at midday. Dogs on a leash are welcome throughout the event.